If you’re a bit of a part time make up wearer, or at least only go with the basic mascara and lip gloss most days, you are probably wondering why on earth you’d even consider this type of treatment. After all, when you’re slobbing around in your jogging bottoms and tee, won’t you look silly all made up to the nines? 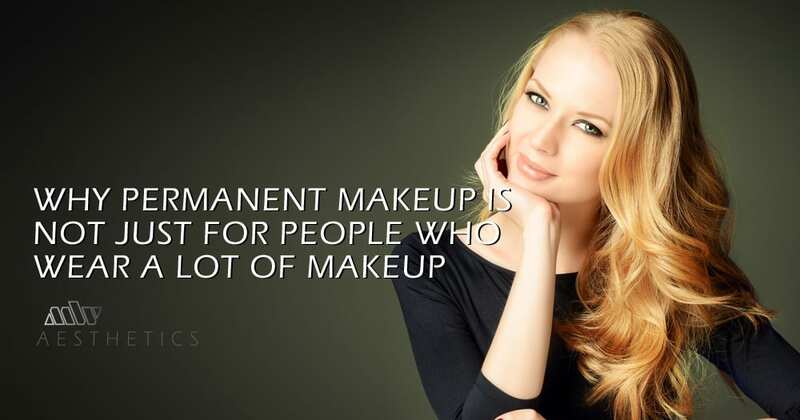 Well, you might be surprised to hear that the best mantra of good permanent make up is ‘less is more’. Permanent make up is not about being fully made up 24/7; its simply about looking your best all the time with zero effort on your part. Who wouldn’t want a piece of that? Most people who go for permanent make up treatments are not looking to replicate the way they look on a big night out. In fact, most of the clients we deal with for permanent eyebrows, lips or eyeliner actually plan to carry on using make up for those special events and celebrations, on top of the permanent makeup treatments they’ve enjoyed. When we work on tattoo eyebrows or semi-permanent eyeliner, we aren’t looking to recreate the look that person has when they go out for a big night out. We are aiming for a natural, amazing look that will suit them in every situation, and one which simply accentuates their natural beauty in a barely noticeable way. Our eyeliner tattoos are designed to give the look of mascara, without the hassle. 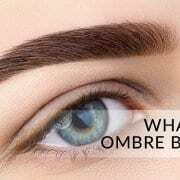 Our lip tattoos are intended to strike a hue of colour into these sensitive, emotional areas, and our eyebrow tattoos are just giving the natural eyebrow the very best shape they possibly can. 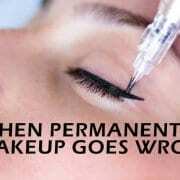 In short, semi permanent tattoos for make up are not intended to be a replacement for make-up entirely. Actually, what they are, is a great base for your personal make up routine coupled with a solution to the parts of making yourself up that you find the hardest. 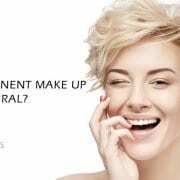 Semi-permanent make up is something new and exciting, but choosing a natural, unobtrusive finish that you can build on is the key to a successful PMU treatment. If you choose to go for beautiful, natural permanent make up that accentuates your own gorgeous features, you shouldn’t expect to replicate your fully made up look. What you’ll actually get is a better you, every day, every morning, every time you look in the mirror. What you also get is a great base from which to work, with the hard parts done for you, so you can use your own cosmetics arsenal to put your own stamp on your look, or can simply go out bare faced and still feel confident. 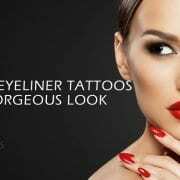 Here are just a few of the ways we know that make up tattoos can be a better choice for your body and lifestyle than actual make up, and how choosing permanent make up can really change your life. It’s cheaper: You probably don’t notice how much you spend on eyeliner, lipstick and mascara, but according to Bustle.com, the average woman spends around $15,000 on make up in a lifetime. That’s around £10,000 in British money, and a whole lot of cash if you ask us. If you bought makeup from age 15 and wore it until you were 65, you would spend around £200 a year on makeup. Permanent make up can last several years, and costs between £200 and £500 per treatment. Top ups are a fraction of the price, so overall could save you substantial amounts of money compared to applying your own make up products every day. It’s more accurate: How many times have you got a perfect eyeliner on your right (or left) eye, and then spent hours trying to replicate this on your other eye? How many times have you applied your lipliner lopsided, or found one eyebrow is more arched than the other? Permanent make up takes all the guess work out of your efforts, giving you perfect permanent eyeliner, lips and eyebrows so all you have left is the creative, outfit specific elements of your war paint. The end result is better: Some permanent makeup practitioners specialise in 3D make up, which means they can use artistic touches such as toning and shading to improve the look of your best features. 3D lip tattoos use shading and lip liner to give three dimensional definition to your lips, giving them the appearance of plump, full lips without any painful and damaging collagen injections. 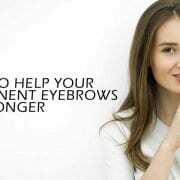 Similarly, 3D eyebrow tattooing can be used to make your eyebrows look full and healthy, no matter how much real hair you have growing in that area. It saves time: According to research, women spend up to TWO YEARS of their lives applying makeup, and for some it can be as many as three years! If you’ve ever tried to get ready for a big night out (especially with a couple of glasses of wine already inside), you’ll understand exactly what the problem is. Making yourself look great is tough DIY, and is always easier for an outsider. 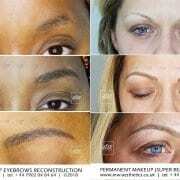 With permanent eyeliner, lips and eyebrows, you can get that professional touch without ever going near a beauty salon. It’s better for your skin: Putting on make up clogs our pores and makes our skin feel invaded by foreign bodies. Slathering on lipstick, eyeliner and other cosmetic products can make our skin grow greasy, dull and unhealthy. Add to this the brutal, chemical process of removing things like waterproof eyeliner, and you can start to appreciate just how tough make up can be on our sensitive skin. By having permanent eyebrows, eyeliner and lips applied to our skin, we can eliminate this chemically damaging, oil stripping, skin damaging process from our lives, giving our sensitive facial skin more time to breathe. If you’re still wondering if a semi permanent tattoo is right for your make up, why not talk to one of our practitioners today, or check out our permanent makeup advice section. We always use high tech micropigmentation to ensure you get an accurate, beautiful and complementary result. Ask us about make up tattoos today, it and see why it’s not just for people who wear a lot of make up all the time.